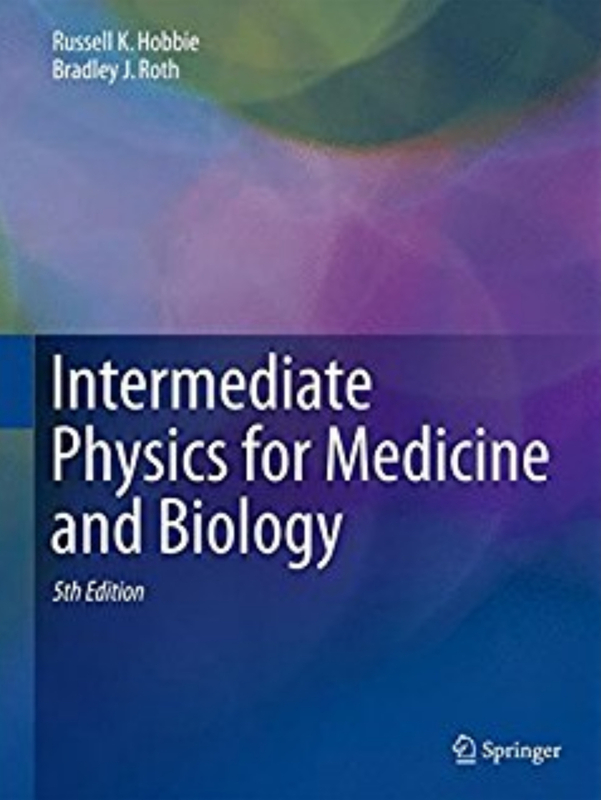 When teaching PHY 325 (Biological Physics) this fall, I assigned my students homework from the 5th edition of Intermediate Physics for Medicine and Biology. One problem comes from Section 7.10 about Electrical Stimulation. Problem 36. If the medium has a constant resistance, find the energy required for stimulation as a function of pulse duration. Problem 36. The longevity of a pacemaker battery is related to the energy required for stimulation. (a) Find an expression for the energy U expended by a pacemaker to stimulate the heart as a function of the pulse duration t. Use the Lapicque strength-duration curve (Eq. 7.45), and assume the body and electrodes have a constant resistance R. Sketch a plot of energy versus duration. (b) In general you want to stimulate using the least energy. Determine what duration minimizes the energy expended per pulse. I don’t usually solve homework problems from the book in this blog, but because the interesting part of this problem was left out of IPMB I don’t think it will hurt in this case. Also, it provides readers with a sneak peak at the solution manual. Remember that Russ Hobbie and I will only send the solution manual to instructors, not students. So if you are teaching from IPMB and want the solution manual, by all means contact us. If you are a student, however, you had better talk to your instructor. 7.36 Issues such as pacemaker battery life are related to the energy required for electrical stimulation. This problem relates the energy to the strength-duration curve, and provides additional insight into the physical significance of the chronaxie. which reduces to t = tC. 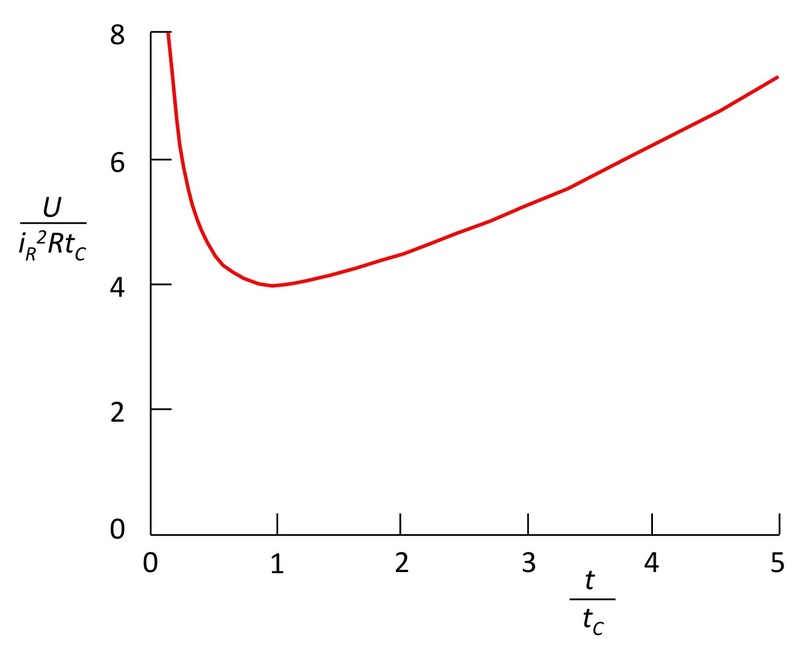 The minimum energy corresponds to a duration equal to the chronaxie. In the 5th edition’s solution manual, each problem has a brief preamble (in italics) explaining the topic and describing what the student is supposed to learn. We also mark problems that are higher difficulty (*), that complete a derivation from the text (§), and that are new in the fifth edition (¶). Problem 7.36 didn’t fall into any of these categories. We typically outline the solution, but don’t always show all the intermediate steps. I hope we include enough of the solution that the reader or instructor can easily fill in anything missing. One thing not in the solution manual is the plot of energy, U, versus duration, t. Below I include such a plot. 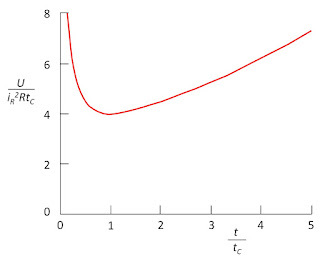 The energy depends on the rheobase current iR, the chronaxie tC, and the resistance R.
The energy of a stimulus pulse as a function of pulse duration. I wonder if this change to Problem 7.36 should go into the IPMB errata? It is not really an error, but more of an omission. After some thought, I have decided to include it, since it was supposed to be there originally. You can find the errata at the book's website: www.oakland.edu/~roth/hobbie.htm. I urge you to download it and mark the corrections in your copy of IPMB. I hope this blog post has cleared up the mystery behind Problem 7.36. Yet, the curious reader may have one last question: why did I assign a homework problem to my students that is obviously flawed? The truth is, I chose which homework problems to assign by browsing through the solution manual rather than the book (yes, the solution manual is that useful). Problem 7.36 sure looked like a good one based on the solution manual!